Disclaimer: I love Whole Foods Market. From the made-to-go salads and wealth of produce to the selection of protein pancakes and sometimes-still-warm bakery treats (my weakness). And it’s not just the food. It’s the way it treats its employees — something I started taking note of lately. Most importantly, Whole Foods is currently hiring in the U.S., Canada and the U.K.
Second, positions are seasonal — great news if you simply want some extra cash as your holiday spending ramps up. You can find these seasonal jobs by searching “seasonal” on the company’s career page. A range of positions are available, too. Think: Meat service team member, seafood team member, bakery service team member (dibs! ), cashier, coffee and juice bar team member and overnight grocery team member — just to name a few. Responsibilities will vary by position, but the store’s general seasonal team member calls for all food enthusiasts. “Whether a Wine Expert, Baker, Butcher, Chef or you just love to share the joy of food, we want you to join us for the holidays,” the listing states. 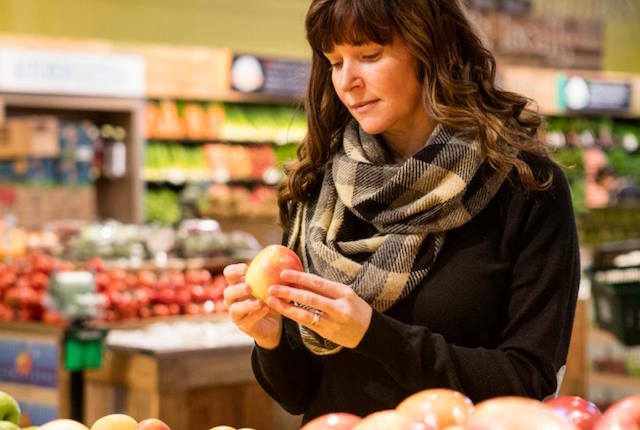 For full job descriptions and requirements, you’ll want to explore Whole Foods’ career page. And if a job isn’t currently available near you, it’s worth bookmarking and returning to later since the stores’ needs are always changing. Not only will you be surrounded by beautiful vegetables and delicious-smelling treats, you’ll also get some pretty good benefits — as long as you work at least 20 hours a week. Perhaps the best one? You’ll receive at least a 20% store discount. Just think about cutting your bill for your Thanksgiving feast and holiday dinners by 20%. This could be huge. Next best? The competitive pay, which Glassdoor reports at about $11 an hour. If you take the gig on permanently and put in 800 hours of work, you’ll get insurance (with low premiums — we’re talking up to $20 per paycheck). Full-time members also get service hour grants. If you put in 6,000 service hours (three years of employment), you’ll gain stock options. And, yes, you’ll get paid time off, which can be rolled over from year to year. Even more? Whole Foods made our list of companies where employees can work their way up to six-figure salaries. So, basically, your seasonal job could be a gateway to future success — or at least a gateway to a discounted holiday feast. Both sound delicious to me. To find more jobs — some with just as awesome perks as Whole Foods — follow our Facebook jobs page. Your Turn: Do you shop at Whole Foods?